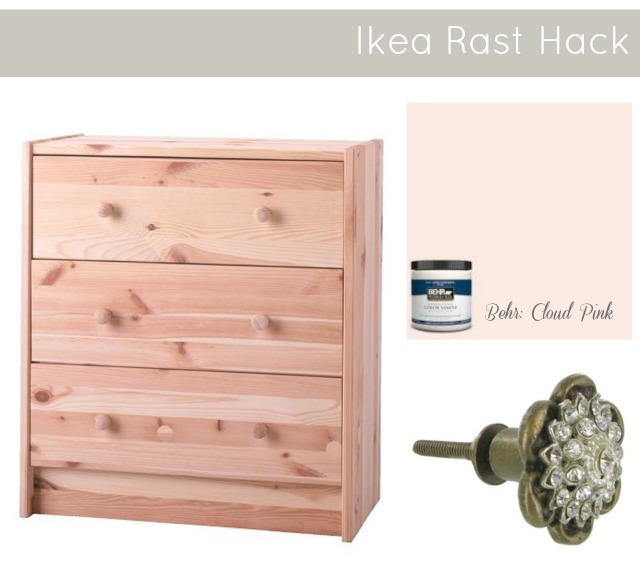 After searching high and low for affordable bedside table options we finally landed on this DIY version of the Ikea Rast drawers. It may not be the most original idea, but it is tried and true, and sure is a good one. 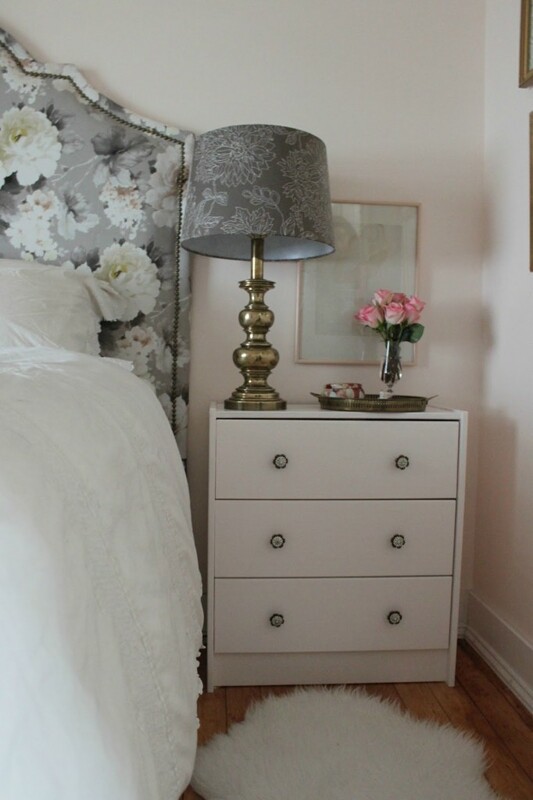 The dimensions were spot on; the small dresser took advantage of the remaining space on the side of our bed and gave us extra storage all at the low, low price of $35. There are many, many of these ikea hacks out there so this isn’t a new DIY, but I’d thought I’d share what went into ours and tips for success. Painting: Use oil based paint and make sure to let cure for a week or two. Don’t place anything heavy on it for about a month. The oil base paint will provide a harder surface that is less likely to be damaged by rings from forgotten about water glasses, etc. Knobs: We got our knobs from Hobby Lobby, who has a fun selection. Be sure you go on a 50% week (knobs go on sale about every few weeks) and pick through for the goods ones. I found many with missing rhinestones- hold out for the best. If they don’t have as many as you need the store will give you a voucher to get the sale price on your next trip. this is so good! i so just want to live with you. you have the best taste.